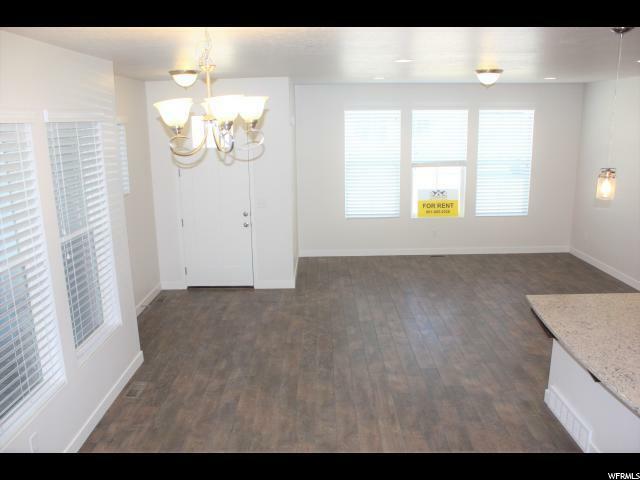 Never lived in beautiful new home with easy and quick access to highways (I-15, Mountain View Corridor/85 and Redwood road)- Close to Silicon Slope, hospital and church to be built in community. It is located in the highly rated Alpine School District (Next to a new elementary opening next fall, close to North Point and Willow Creek Middle School)- Minutes to Thanksgiving Point, Museum of Curiosity; 2 community parks to be built soon. Beautiful Granite counter tops for kitchen and bath. 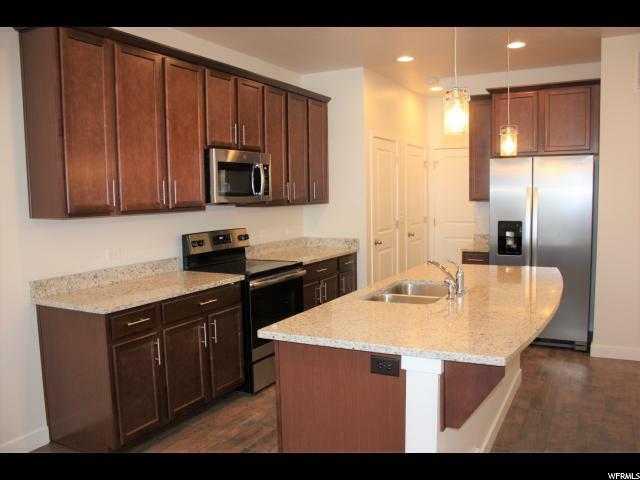 Huge island in kitchen, stainless appliances, big family room has 9 feet high ceilings! The flooring on the entire main level is beautiful, easy to maintain laminate. 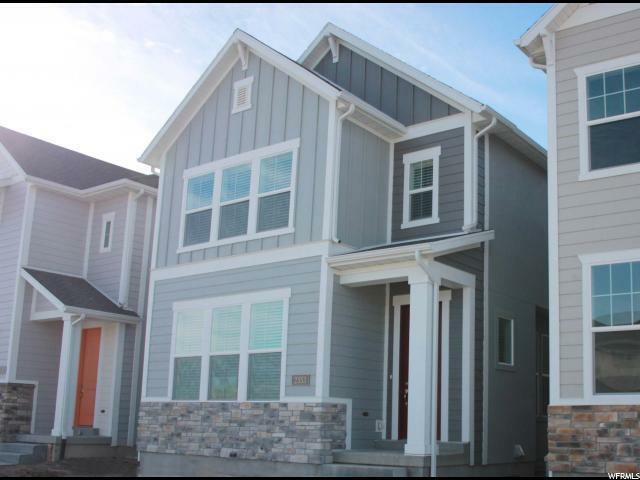 The spacious master has plenty of storage space, a large walk in closet and double sinks in the huge master bath! This award winning home was designed to be especially energy efficient, with a separate thermostat for each floor, making heating and cooling much more efficient using the Lennox furnace, and the tank-less water heater saves you $$!! The laundry room with washer/dryer hookups is located near the bedrooms so doing laundry is a joy! 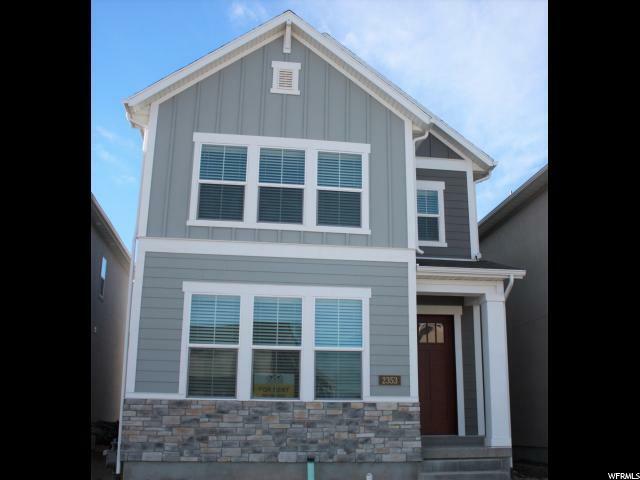 3 Bedrooms, 2.5 bathrooms, 2 car garage. No yard maintenance needed, covered by HOA, Mountain views. Listing provided courtesy of Larsen & Friends Real Estate. Information deemed reliable but not guaranteed accurate. Buyer to verify all information. © 2019 Wasatch Front Regional Multiple Listing Service, Inc., All Rights Reserved.